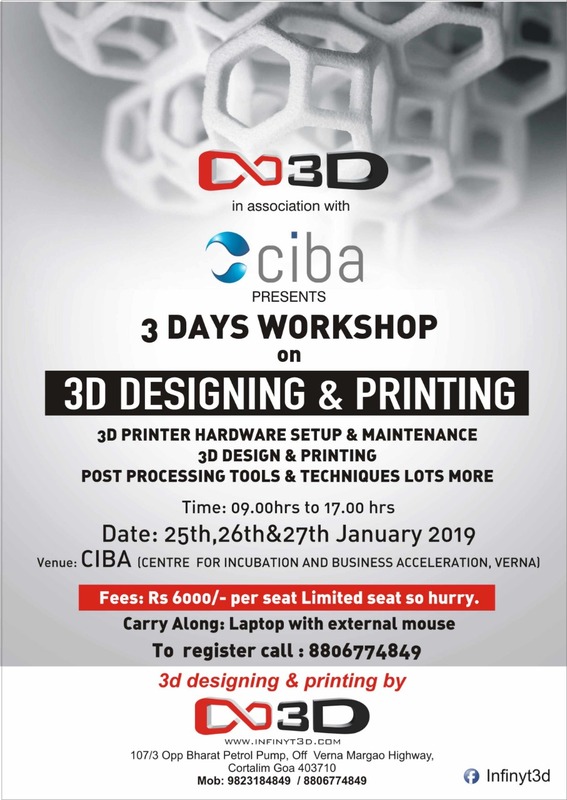 A unique 3-Day hands on workshop where participants will work with 3D Printers themselves! ▪Application and Career/entrepreneurship opportunities in 3D Printing. Venue: CIBA, Agnel Ashram Complex, Verna. Carry Along: Laptop with external Mouse.